The Christmas lights were switched on in Llandaf on 28 November 2018. Here are some photos taken towards the end of that magical evening. The Cathedral School has bought the site of Jazzy Jungle, flattened it and is preparing to build a new Memorial Hall for the school and city. The photos below outline how the hall will look and how the local community will be able to use the new facility. 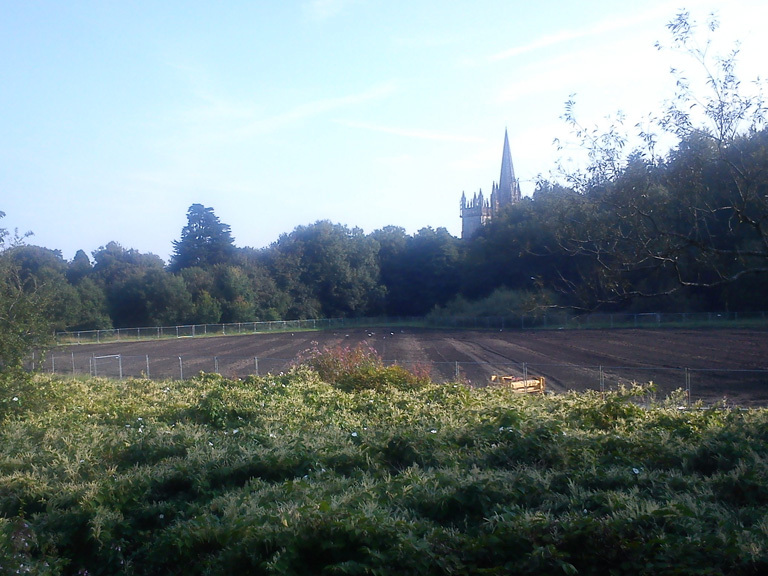 Llandaf Meadow is being turned into a football pitch by Cardiff Metropolitan University, owners of the land. Here’s one of a series of images documenting this change of use. 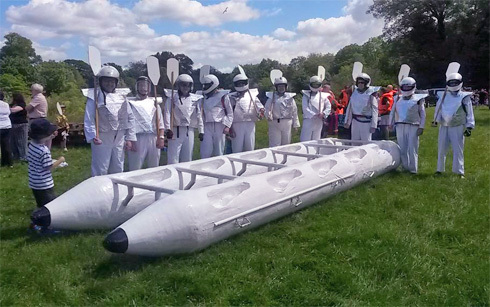 Here’s just one story of many from the George Thomas Hospice fundraising Charity Raft Race at Llandaf Rowing Club today (Sunday 7 June). 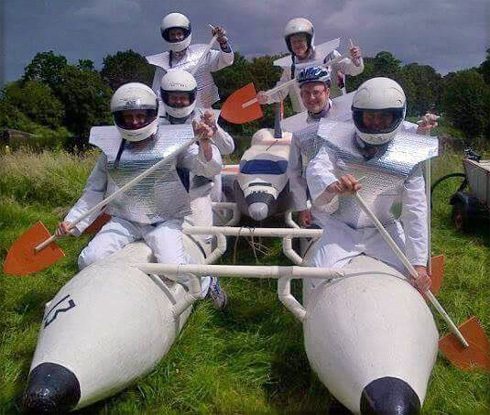 It’s a photo story of the Pencae Dad Rafters team of spacemen, using photos from @Pencae_rafters on Twitter. They may not have won the race but they captured the spirit of adventure needed for this fun yet challenging event. Da iawn tadau Ysgol Pencae! Donate. 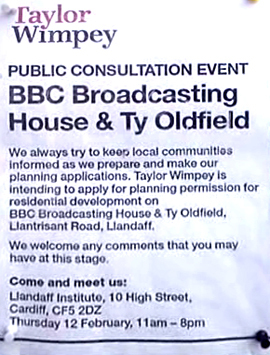 If you have a view about the way the BBC Llandaf Broadcasting House is developed, the buyers Taylor Wimpey want to hear from you. 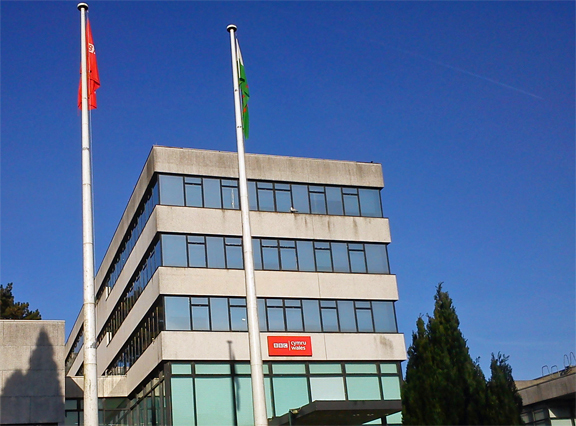 They’re holding a consultation day at the Llandaff Institute from 11am – 8pm on 12 February, and everyone’s welcome to attend. This sounds like an open house, rather than a public meeting approach. There are bound to be discussions about the extra car traffic through Llandaf village which the potentially-close-to-400-homes will bring. Some may lament the potential loss of Dale Owen’s modernist building which has become a bit of a local landmark. Other will want to suggest community facilities like libraries, community centres and health facilities. The Cathedral is the mother church of the Diocese of Llandaff and is the seat of the Bishop of Llandaf. This is one of the oldest Christian sites in Britain. In the sixth century St Dyfrig founded a community close to the ford where the Roman road crossed the river Taff. Nothing remains of the original church but a Celtic Cross that stood nearby can still be seen near the door of the Chapter House. The present cathedral dates from 1107 when Bishop Urban, the first Bishop appointed by the Normans, instigated the building of a much larger church. Later in the 13th century the Chapter House was built and also before the century ended the Lady Chapel which has largely escaped the damage and decay that the cathedral sustained over the following 700 years. Until the time of King Henry VIII, Jasper Tudor’s kinsman, pilgrims thronged to the shrine of St Teilo whose tomb still stands in the sanctuary, and their gifts supported the church. When pilgrims were forbidden and other revenues taken away it was no longer possible to maintain the building adequately and over the next 200 years it fell into a state of near-ruin. In 1734 restoration began in the popular style of the day. And a hundred years later, new life and growing prosperity in the Diocese made possible a fresh restoration. The South West tower and spire were completed in 1869, replacing the early-12th century tower which collapsed in 1722. Much of the 19th century work inside the Cathedral by WWII bombing. Sir Jacob Epstein’s aluminium statue of Christ in Majesty was put in place as part of the post-war reconstruction. When you visit, don’t miss Rossetti’s triptych of the Seed of David. It’s in the St Illtyd Chapel at the foot of the North West tower. The new organ has a fabulous sound. Try to go along to one of the June Festival performances or – in the winter – to hear a carol service at this grand Cathedral. These times will vary for principal Festivals. Closing times relate to term time only. Info from the Cathedral website. A medieval Bishop’s Castle that was probably first constructed by William de Broase (Bishop 1266-87) during the thirteenth century, and is still remarkably well preserved. The Bishop’s Palace is the only surviving residence of the medieval clergy of Llandaf. There are remains of an almost rectangular enclosure of about 52x40m. There are towers and a monumental gatehouse at the western side, as you walk from the Cathedral. The castle was shown complete on John Speed’s plan of 1610, with the gatehouse and four other towers, so it was probably dismantled at the time of the Civil War. It was restored in 1971. It’s a great place for a picnic and a game of Dump123. There are 180+ members of all kinds of ability. Training and coaching is available for novice through to elite athletes. There are four boat sheds, many boats, a gym with weights. There’s a 1200m stretch of water along the River Taff, with access to facilities at Cardiff Bay too. 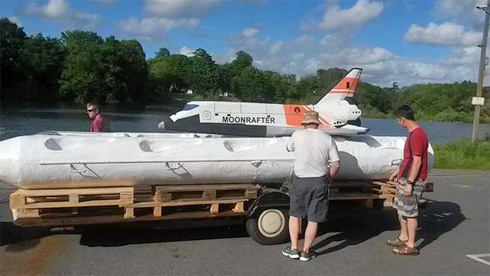 They have a major regatta every July.